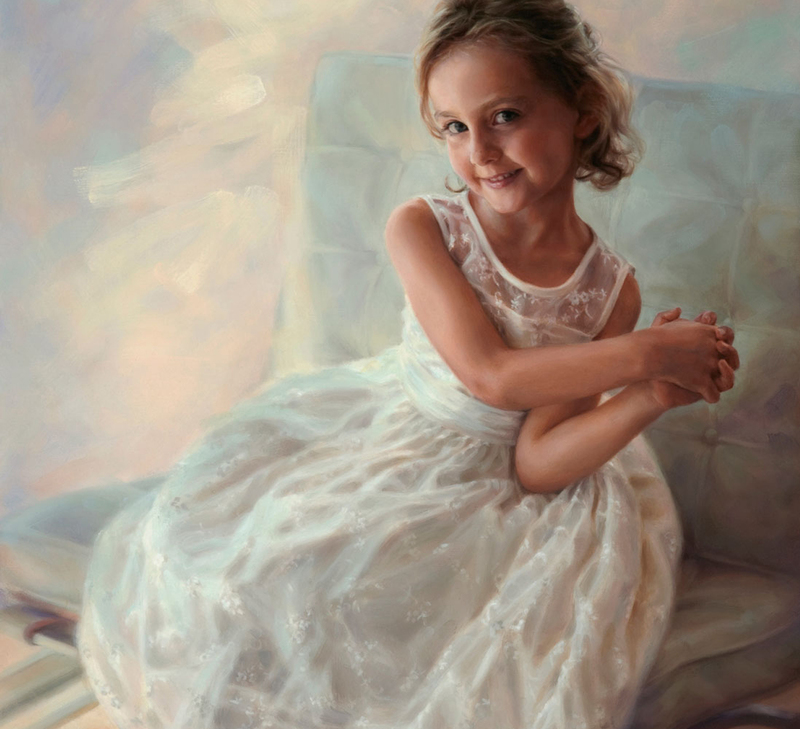 Creating an oil portrait is an exciting endeavor that begins with a personal visit with my client, giving us the opportunity to get acquainted and to discuss the desired elements of the painting such as the size, pose, setting, and other details. After the initial visit, one or more photo sessions will be scheduled, after which I will share selected photographs with the client. Once the photograph that best captures the personality and character of the subject is decided on, a pencil drawing and color sketch will be submitted to assure the proper composition, likeness, and color accuracy. I often use a number of photos to work from, taking elements from each and adding extra details that will make the portrait truly unique and special. After the preliminary sketches are approved, I will then return to my studio to proceed with the final painting, which will take a minimum of six weeks to finish. I work with only the finest archival materials, to ensure that each work of art will last for generations. My goal is always to create the very best portrait possible, and I guarantee my client’s satisfaction with every portrait that I do. Portrait fees start at $3000 for a head and shoulders oil portrait. There is a charge of 50% of the initial fee for each additional subject. 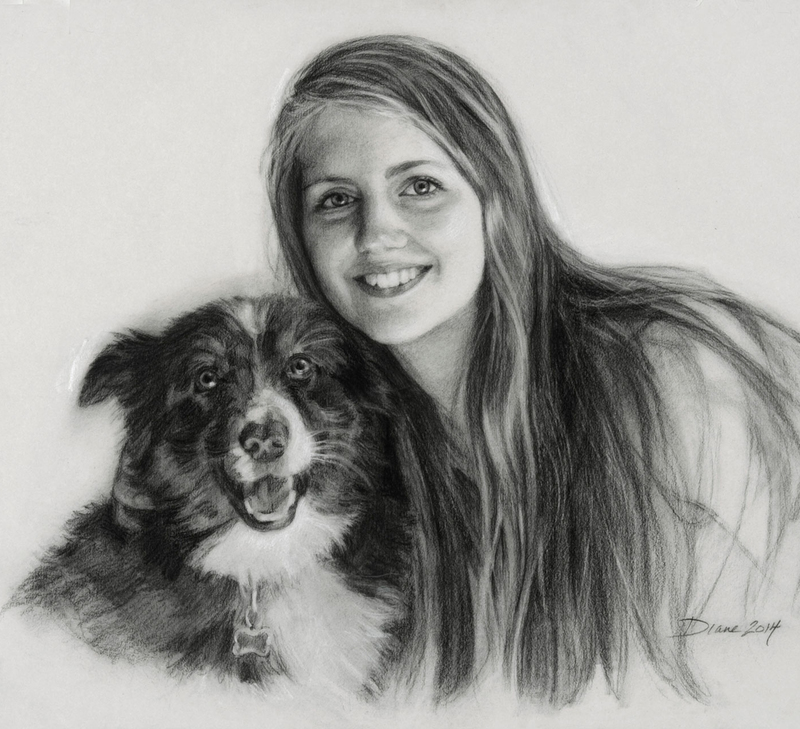 Black and white pencil portraits are also available, starting at $350 for a head and shoulders portrait, with 75% of the initial fee added for each additional subject. The process takes less time than an oil portrait, with the initial meeting and photos combined in one visit. Pencil portraits will take a minimum of one to two weeks to finish, depending on the number of subjects and the size of the portrait. Detailed portrait fees are below. Travel expenses, framing, and shipping fees are additional. Payment of one-half of the total amount is due at the signing of the contract, with the balance due upon completion. Upon completion of the portrait, I will be happy to help select a frame and attend a portrait unveiling. I will be happy to answer any further questions, and can be reached at 503-253-0865.